We’ve contacted Ron Field in Canada. 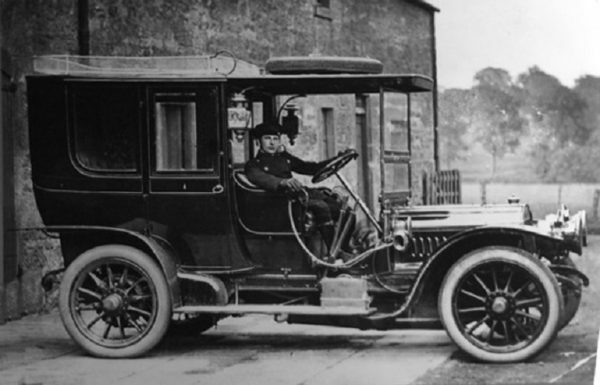 His Scottish great uncle Stewart Gordon (1892-1950), who appears here in the photo, was sent by his Laird to England to pick up the car and learn to drive. 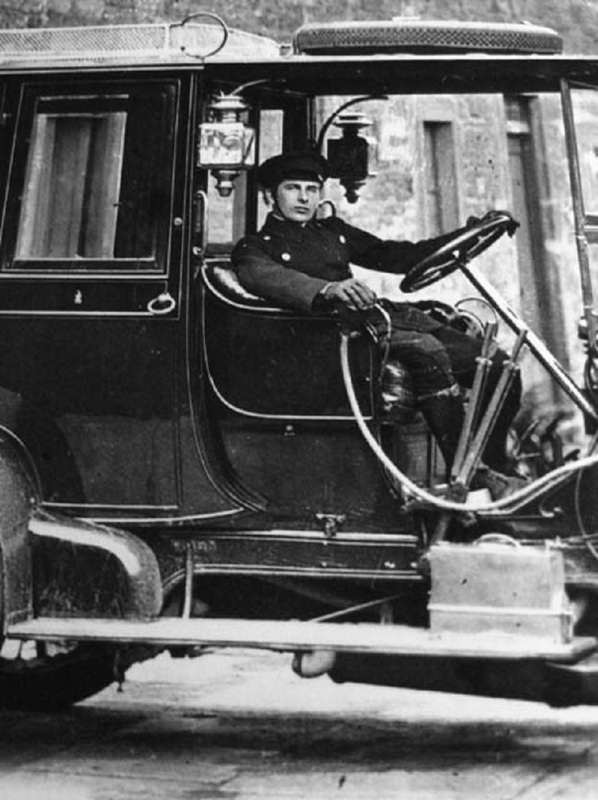 Apparently he was the very first chauffeur in Scotland. He also served during WWI with the British Army (A.S.C.) as a driver. He emigrated to Canada with his wife in 1919. Ron was delighted to find out the make and approximate date of manufacture. It fits in perfectly with Stewart Gordon’s dates. We said before that we couldn’t give a prize, but if Ariejan (who appears to be closely linked to our friends at PrewarCar.com) is at September Beaulieu or next year’s Rétromobile, your webmaster owes him a drink. It’s a Brasier limousine. To determine the exact year is difficult, but judging by the appearance and the presence still of chain drive on this medium-sized car a good estimate will be 1909 or 1910. The radiator and bonnet have something of a Brasier appearance, but surely the give-away here must be the ‘clasp knife’ grips on gear and handbrake lever. Now – just where have I seen those previously??? I enjoy learning about social history and this is really interesting.